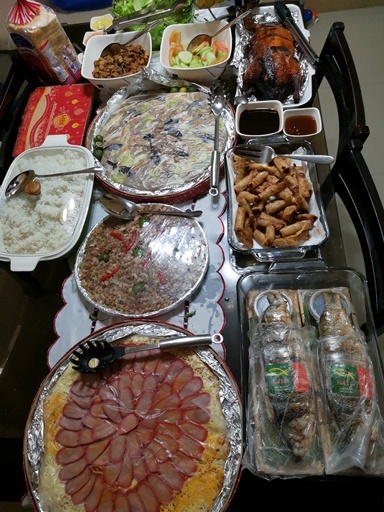 Our family celebrated a pink Christmas last December 24 at my brother’s house in Imus, Cavite. We shared a hearty potluck feast of Amber’s and Fish2Go specialties, plus a roasted Peking duck and some home-cooked favorites. This annual family get-together was an opportune time for us to catch up on each other’s lives and to have a heart-to-heart talk with our dear Nanay who apparently is not in the pink of health. 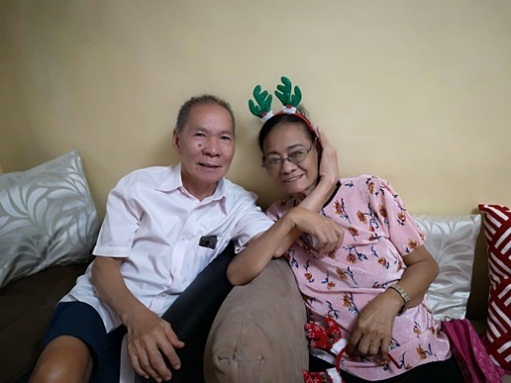 Nanay underwent quadruple bypass surgery in 2010. Now she is a candidate for kidney dialysis. To lower her creatinine levels and to delay dialysis, she was instructed to follow a protein- and salt-restricted plus fiber-rich diet, something she detests but one she has to follow for her own good. Her being diabetic further complicates things. The whole family is now bracing for the worst but still hoping for the best. 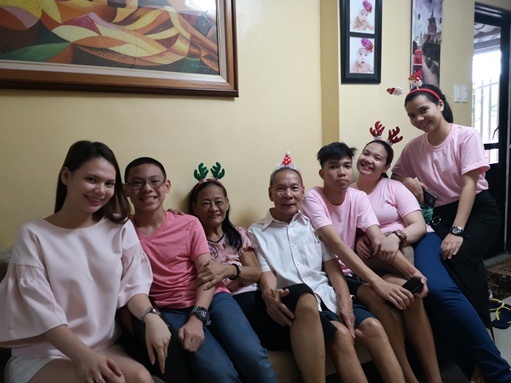 Now that I think about it, I guess it was actually timely that we all wore pink for last year’s family Christmas gathering. Why? 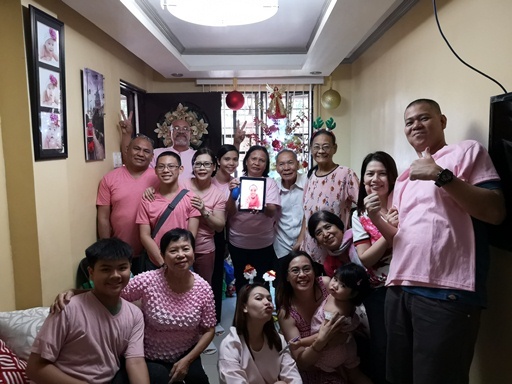 Bourn Creative says “pink is the color of universal love of oneself and of others.” Pink reminds Nanay and all of us to love ourselves by taking care of our health. It also reminds us to look after the people we love because that’s what family is all about. I hope you all had a happy Christmas, and may 2019 be a better year for us all! This entry was posted in Christmas, Christmas 2018, Christmas Family Reunion, Christmas Get-together, Pink Christmas. Bookmark the permalink.